There are lots of mentions about honey and bees in the sacred Indians writings, The Vedas, around 2-3000 BC. 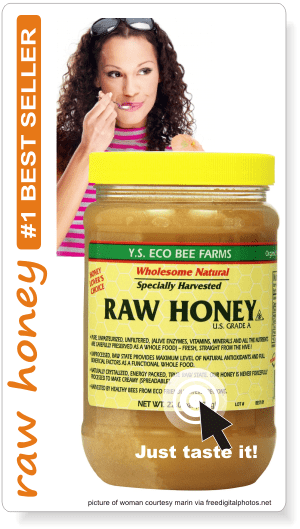 The early Hindus considered honey as the food of gods. In Hindu marriage ceremonies, honey was used to send away the evel spirits and ensure a happy couple life. The Sanskrit word for honey is “madhu”, which is the same with the Ango-Saxon “medu” and which resembles the beverage we made from honey “mead”. The Gods Vishnu and Krishna were called Madhave meaning “the nectar-born ones” and their symbol is a bee. In one image Vishnu is a blue bee resting on a lotus flower (symbol of life, resurrection and nature). In some pictures Krishna, as the popular incarnation (avatar)of Vishnu, appears with a blue bee on his forehead, or above it, representing Vishnu. It is blue because it represents the world of gods, a world of ether – which is blue. Kama, the Indian god of Love, is also connected to bees. Just like Eros, the Greek god, he carries a bow, whose string is made by a chain of bees, symbolizing that the arrows of god are sweet but also painful. 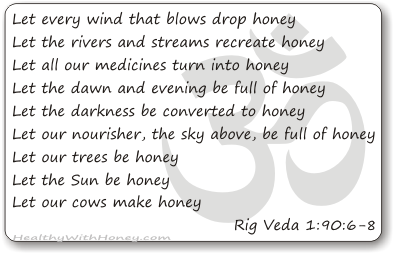 Asvins, the twin horsemen, the gods of light, are also connected to madhu (honey) as presented in many hymns in Rig Veda. Sataphata Brahmana says that honey is made of the supreme essence of life, and so eating honey is like absorbing the essence of the Vedas. Read more here: The Sacred Bee in Ancient Times and Folklore, By Hilda M. Ransome, an amazingly detailed book on bees and honey’s history. On kindle at only $4.70. 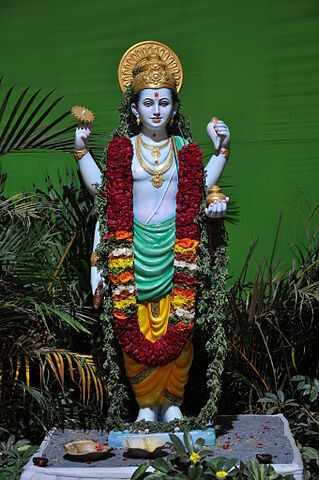 Dhanvantari (धन्वंतरी), known as an avatar of Vishnu is the Hindu god associated with Ayurveda. The photo was taken at a recent Ayurveda expo in Bangalore titled ‘Arogya’. 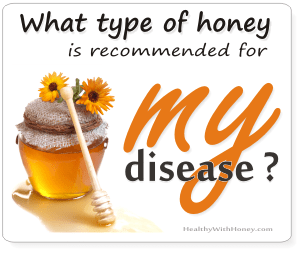 Honey plays an important role in Ayurvedic medicine. For more than 5000 years, Indians have been continually using it, today there are lots of practitioners, and there are Academies founded all over the world. People are trusting it and ayurveda remains one of the most natural ways of health care. The honey that is prescribed by ayurvedic practitioners is a cultured or purified honey, called Samskritha Madhu, made by most of the authentic ayurvedic manufacturing units, following the ayurvedic scriptures. According to Ayurveda classic Ashtanga Hridaya, honey was used against many diseases, especially for healing and cleaning wounds, or against different internal and external infections. “Honey known as madhu (meaning “perfection of sweet”) in ayurvedic scriptures is one of the most important medicines used in ayurveda. In ayurveda, honey is used for both internal and external applications. It is mainly used for the treatment of eye diseases, cough, thirst, phlegm, hiccups, blood in vomit, leprosy, diabetes, obesity, worm infestation, vomiting, asthma, diarrhoea and healing wounds. It should also be kept in mind that fresh honey helps to increase body mass while old honey produces constipation and decreases body mass. 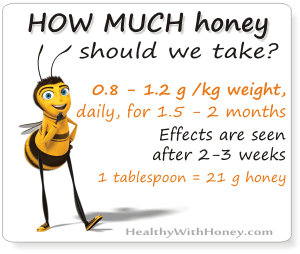 Honey should not be heated or consumed warm as it causes toxic effect. Cold honey should always be preferred. 2. Bhraamaram (bhramara): It’s made by a small type of bee, it’s sticky and white-transparent. Used to treat urinary tract disorders and digestive problems. Plus other blood-related diseases, especially when blood is vomited. 4. Pauthikam (pouttika): It is made my small bees that live in the hollows of old trees. It increases “vata dosha” – which is energy that governs movements, and creates a burning feeling in the chest. Used in the treatment of diabetes and in reducing the size of some tumors. 5. Chathram (chatra): It is made by a brown-yellow bee, fround in the forest of Hymalaya, this honey is considered to be “heavy and cold”. Used in the treatment of worm infestation, gut and indigestion, when blood is vomited and diabetes. 6. Aardhyam (arghya): It is made by a specific yellow bee. It is effective for eye diseases, cough and anaemia and general nourishment. 7. Ouddalakam (auddalaka): made by a small brown bee that lives on ant-hills. It is astringent and its main use is in skin disease. But it is also good for the throat, improving voice modulation. Some ayurvedic therapists say it increases taste and swarasudhi, and uses it also in the treatment of leprosy and poisoning cases. 8. Daalam (dala): It’s considered to be “dry” increases digestion and helps in the treatment of cough, vomiting and diabetes. – to treat dehydration in diarrhea patients: a drink made of pomegranate juice, lemon juice and honey is the recommended remedy. – A spoon of fresh honey, mixed with juice of half a lemon, in a glass of lukewarm water and taken first thing in the morning is an effective remedy for constipation and hyper-acidity. – Fasting on this honey-lemon juice water is highly beneficial in the treatment of obesity without loss of energy and appetite. More about the uses of honey in Ayurvedic medicine are described in “Honey in Ayurvedic Medicine”, by Surya Prakash and Ratna RaoYou in 2014, which is included in the amazing book edited by Laïd Boukraâ: Honey in Traditional and Modern Medicine (Traditional Herbal Medicines for Modern Times) published by CRC Press, © 2014 by Taylor & Francis Group, LLC. 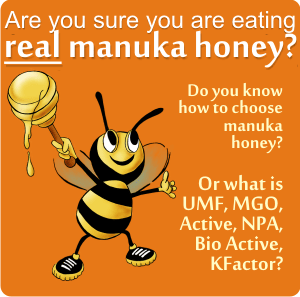 We can conclude that in ayurvedic texts, honey is considered to be a sweet food that triggers health in human’s body. On a daily consumption. And that taken in certain combinations treats lots of conditions. 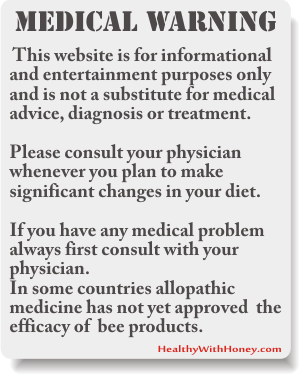 • Ayurvedic honeys in India. A different but natural and effective way of healing. • Honey in history. Prehistory, Ancient Egypt, Ancient China. Yum..gonna get me a hive. ..so I linked to the Blue Bee on Vishnu’ forehead. Going next weeek to visit a Bee farm on Kangaroo Island off South Australia..remembering their Honey ice cream from 13 years ago.